He regularly divides opinion with his ‘Marmite’ style of presenting style on Good Morning Britain, friendship with Donald Trump and outspoken Twitter posts. 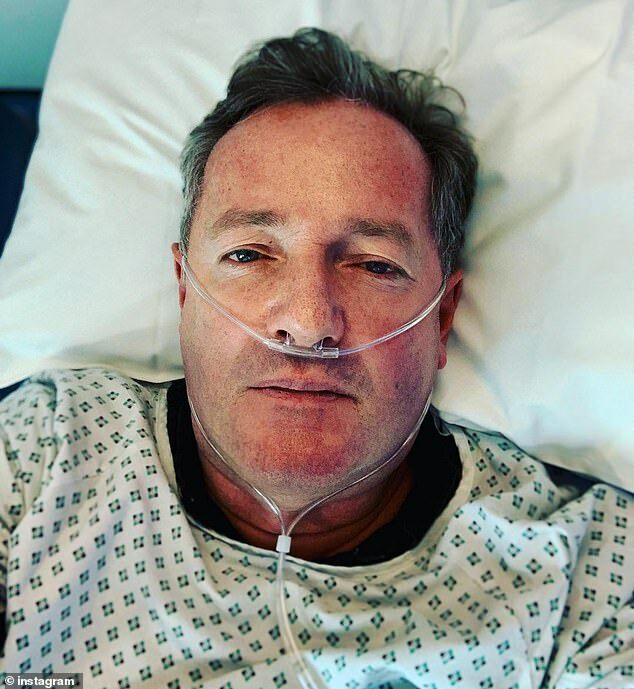 And Piers Morgan apologised to the nation on Friday when he shared a shock photo of himself in a hospital bed with tubes in his nose. Piers is currently at the private Bupa Cromwell Hospital in Kensington, West London. He has been battling bronchitis, sinusitis and laryngitis and has been taking antibiotics since Christmas due to his ill health. The meat-lover has been causing havoc on Twitter in recent weeks after he was furious to discover that Gregg’s have brought out a vegan sausage roll. He tried one on the show and pretended to vomit live on air, leading fans to speculate if this was the cause of his health concerns. 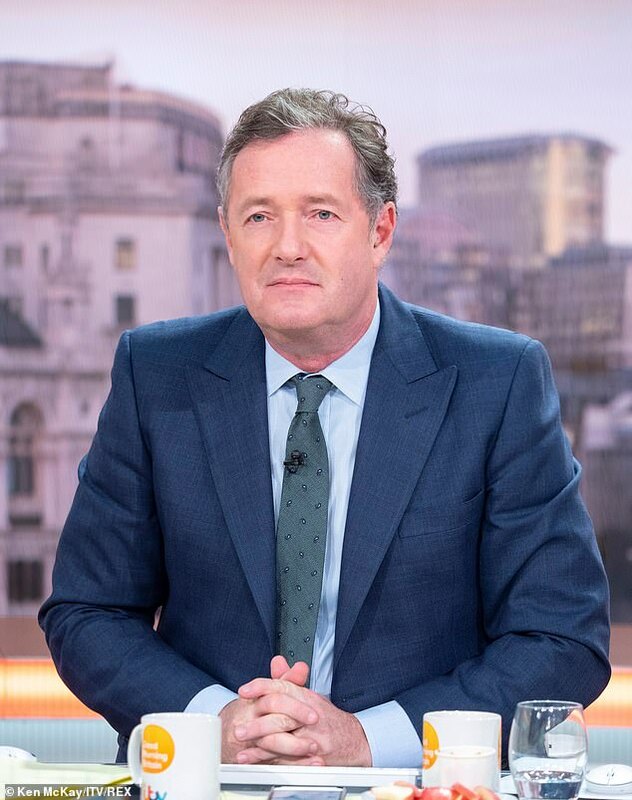 In actual fact, Piers wrote on Twitter that he had actually been forced to cancel his New Year’s Eve plans because of how unwell he was feeling. He wrote: ‘Wildest New Year’s Eve for decades… went to bed at 8.59pm with two strong Italian Tachipirinas & had one helluva steamy sleepless night. 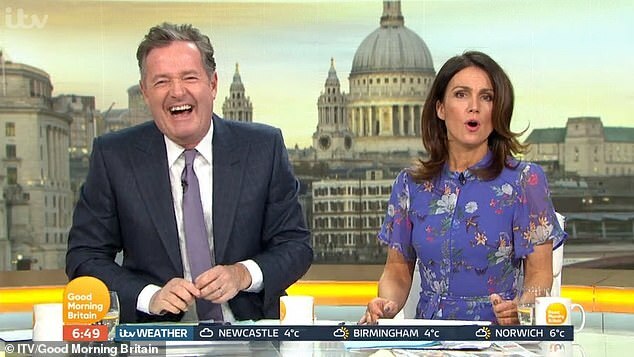 Piers was temporarily taken off air on last Wednesday’s episode of the hit breakfast show after he made a playful jibe at the crew’s ‘abilities’ with his teleprompter. The gallery got their own back on the journalist and presenter after he complained about issues with the teleprompter. Piers started bickering with co-host Susanna Reid, 48, after she mocked him for not reading the screen correctly. He retorted: ‘It said earlier that it was the paper review and we didn’t have the papers so I don’t believe entirely what I am seeing on that screen. ‘I have lost confidence in the gallery’s ability to deliver. The screen suddenly went black, taking Piers and Susanna off air. And when the cameras turned back on, the torment continued, with the focus on co-host Charlotte Hawkins, rather than Piers. Piers cheekily continued: ‘They have got the ultimate power.